Last time I wrote about New Zealand-born/London bread throwback singer/songwriter Willy Moon, I was GUSHING about his debut single/ÜBER-catchy Apple iPod theme "Yeah Yeah." Now, the 23 year old Kiwi-Brit is back with his follow up single, the equally good (albeit not as catchy) "My Girl." 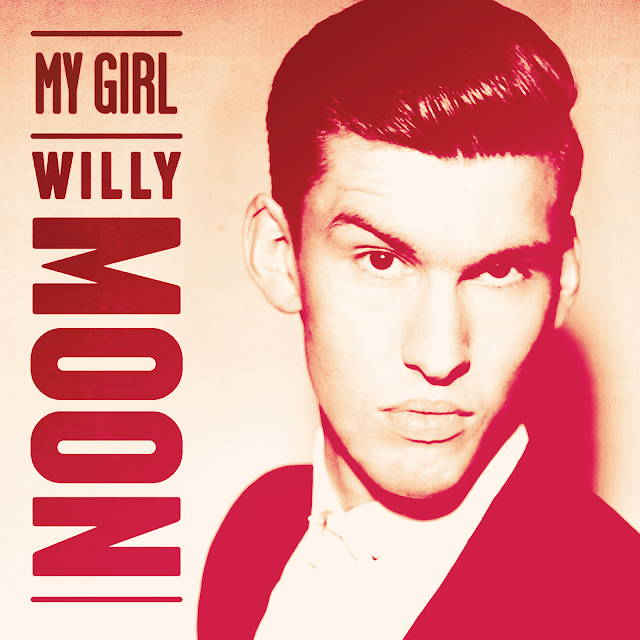 Released March 5th, "My Girl" is the second official single taken from Moon's forthcoming debut album, Here's Willy Moon, due April 2nd on Island Records/Interscope/Cherrytree. Check out the vintage-inspired "My Girl" clip BELOW, directed by Focus Creeps. Following the break up of international pop group and Robin Antin brainchild, The Pussycat Dolls, Jessica Sutta has been forging ahead with her own pop career. Her latest effort, a STUNNING rager of a dance pop anthem, "Again," out today on iTunes. Premiering yesterday on Billboard.com, "Again" was produced by and features Kemal Golden - released on Citrusonic Stereophonic. Listen to it in full on Billboard or a snippet of the track BELOW.